Medical school grants and scholarships: a dream or a mirage? make life a whole lot easier, because as we all know, there are huge financial components to the medical school decision! Depending on where you choose to attend, the med school debt you graduate with after just four years can top $350,000.The median level of debt from medical school among graduates in 2016 was $190,000, according to AAMC. Primary care physicians at UCR can obtain a four-year medical school scholarship for all fees and tuition, as long as they agree to stay in the Inland Empire area of Southern California a minimum of five years after graduation. One student each year will receive an award of $40,000 to help cover any non-tuition fees. In return, the physician must complete five years of general pediatric practice in Riverside County. Other scholarships from medical schools like UCR, including need-based scholarships, are offered as well. Washington University is a prestigious medical school, and offers merit scholarships to high achieving medical students. The MD program also offers scholarships based on financial need after the student determines what he/she can reasonably provide on their own. The debt ratio for graduating students is low given the WU’s commitments to helping students afford med school costs. Vanderbilt also offers scholarships for medical school students on the basis of merit and need. 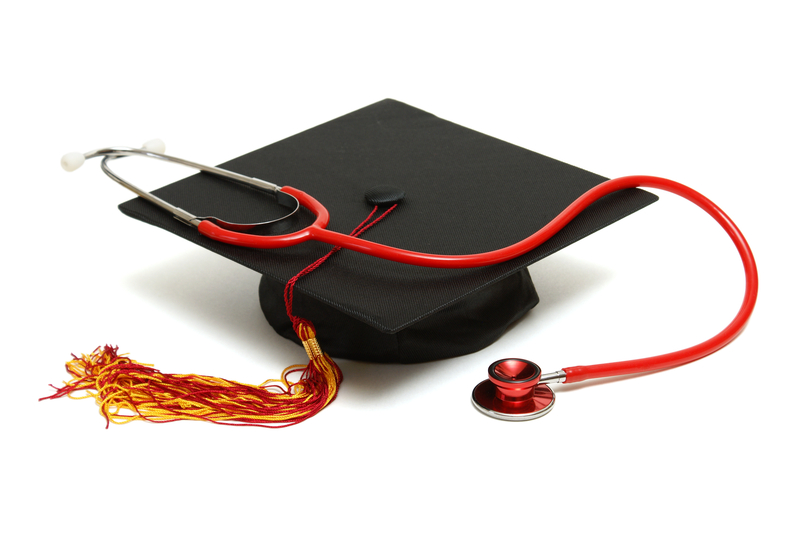 Once a student receives a scholarship, it is permanent for all four years of medical school. Fifty medical school students at Ohio schools will receive $30,000 per year for each year of medical school in return for their promise to become primary care physicians and stay in the state serving high-need populations for a minimum of three years. This scholarship is available only to Ohio residents. Primary care physicians in Massachusetts can get up to $50,000 worth of help in repaying medical school loans after signing a two-year contract to practice in a professional shortage area, and in primary care. Scholarships for 10 medical students each year are awarded by the HU Board of Trustees, two of which are full tuition scholarships. These scholarships are awarded on the basis of merit. Other scholarships may also be awarded at HUC of M based on need. The Perelman School of Medicine offers scholarship programs for outstanding students. Around 25 full tuition scholarships are awarded annually. The scholarships are available to all medical students who are accepted at Perelman SOM. Perelman School of Medicine also offers financial assistance based on need, availability of funds and prior indebtedness. The scholarships offered by David Geffen School of Medicine cover full tuition, room and board, as well as books and supplies. They are offered to both in-state and out-of-state medical students. These merit-based scholarships fully cover medical school costs for up to 20% of each class. The goal is to prepare students for a career in teaching, public service, public policy and clinical practice without the demands of repaying student loans. Mayo has campuses in Minnesota and Arizona. It is known for its extremely generous support of med students accepted at its schools. It offers merit scholarships (50-plus percent tuition), dean’s awards (full-ride scholarships for med students interested in medical education, and outstanding achievement scholarships which go to students from non-traditional backgrounds and have overcome adversity to get where they are. Students accepted into Miller SOM’s MD/PhD program receive a full tuition scholarship to both medical school and graduate school, plus an annual stipend during full-time graduate school. These are only a few of the significant merit and need-based medical school scholarships for medical students from the medical schools themselves. The good news is that most medical schools do offer scholarships of one kind or another. It’s a good idea to check out the medical schools with scholarships opportunities as you are applying to medical schools, to understand what the possible scholarships are at the schools you’re considering.